Small - $24.99 Only 1 left! Medium - $24.99 Only 4 left! Large - $24.99 Only 1 left! 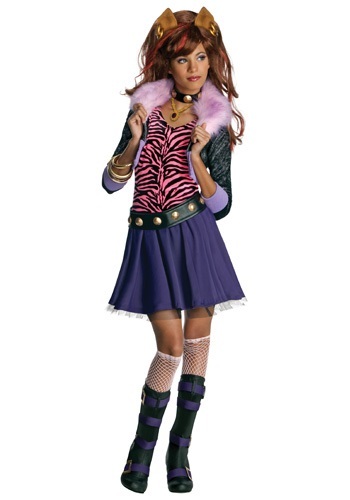 Some teens have a wild side and Clawdeen Wolf is no different. This fierce student has always walked her own path and gone her own way. But that isn't to say she's a lone wolf at all because she does have her besties in Frankie Stein and Draculaura. These three are inseparable. But there is one girl at the school that does make her hair stand on end, Cleo de Nile. These two just don't get along at all. But now you get a chance to challenge her to a fashion show runway walk off when you wear this hip werewolf costume! Super cute, Fits perfect.. True to size..